On the 29th of May we had a professional development day with Dylan Wiliam. He spoke to us about what works and what doesn’t work in education. Stop students putting their hands up to ask questions – it’s the same ones doing it all the time. Instead introduce a random method of choosing which pupil answers the question, such as lollipop sticks, and thus engage the whole class. Use traffic-light cups in order to assess quickly and easily how much your students understand your lesson. If several desks are displaying a red cup, gather all those students around to help them at the same time. Mini-whiteboards, on which the whole class simultaneously writes down the answer to a question, are a quick way of gauging whether the class as a whole is getting your lesson. This method also satisfies the high-achievers who would normally stick their hands up. A short burst of physical exercise at the start of the school day will do wonders for students’ alertness and motivation. As any gym addict or jogger will tell you, it’s all about the chemicals released into the brain. Ditch the obsession with grades, so that pupils can concentrate instead on the comments that the teacher has written on written classwork. This entry was posted in ideas and tagged assessment, inspiration, pedagogy, professional development, workshop on May 29, 2015 by Waarom. A clear first sentence should convey what the key point (thesis) is of this paragraph. Also, a thematic approach is far stronger than a simple narrative account. Categorising events in themes like political, military, economic, social, long term, short term, strengths, weaknesses, causes, effects, ideology etc etc will produce a much more sophisticated and analytic essay than just telling the story. Evidence and explanation should contain stats, quotes, years, events, people. Great sentence starters are: An example of this is, it can be seen that, this is illustrated by, as shown by, for example, as historian XYZ stated etc. This is where you show you know your stuff. Analysis and assessment. Every IB History essay will require you to make a judgement. Just spitting out everything you know is not enough (avoid simple narratives), you have to place your knowledge into context and analyse why it was significant, what was more or less important, assess its effect or reasons why. Go to the Google doc for good sentence starters and conjunctions. Conclusion: Always stay on track in addressing the essay statement. 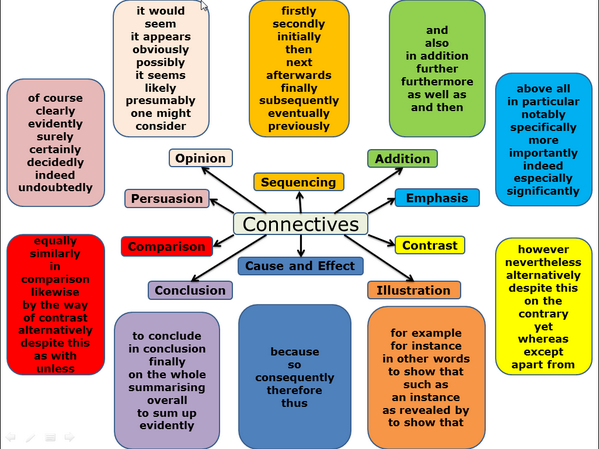 Conclude each paragraph with something that links to either your topic sentence or the essay statement itself. You can reuse some of the key words from the essay statement (but not verbatim, that is too simplistic). Also, take note of the command term of the question; do what you are “commanded” to do. Signpost, signpost, signpost your argument. Great list here. Print it off. Go to the Google Drive for a “How to write a history essay” handout. This document also contains an extensive list of sign post words. Here’s a good question for you: Why can’t I just use Google for my research? The pros and cons can be found here. This entry was posted in ideas and tagged assessment, essay, teac, writing on October 20, 2013 by Waarom. Eight thinking continua, By Ron Ritchhart. Cultures of Thinking Project. Harvard Project Zero, 2008. This is a great tool to assess deep thinking. I find it particularly useful for the assessment of essays and written work. I have created a rubric based on Ron Ritchhart’s continua in a Word Doc. I would like to recommend reading James Wilson’s post on ‘Making Thinking Visible‘. James reviews the book and explains some classroom applications. Extensive thinking routines on the Harvard Project Zero “Visible Thinking” website here. This entry was posted in ideas and tagged assessment, essay, thinking on May 30, 2013 by Waarom. This entry was posted in ideas, teaching adventures and tagged assessment, solo, thinking on April 5, 2013 by Waarom. This entry was posted in interesting and tagged assessment on July 16, 2012 by Waarom. Usable Knowledge: What is Teaching for Understanding? This entry was posted in ideas and tagged assessment, curriculum, framework, investigation, teacher on March 8, 2012 by Waarom.